We meet Harry Barnett sitting on a rock on the side of a Greek mountain, waiting for his companion to come back from walking up to the summit. Heather Mallender is a new acquaintance, a young woman taking a short holiday at the house in Rhodes that Harry takes care of for a rich friend. Harry is starting to get worried, as she's taking a lot longer to come back than she should. He finally decides to go look for her, but it's in vain. The only trace of her is her scarf tangled on a branch. Reporting the disappearance to the Greek police, Harry finds himself under suspicion of having murdered Heather. Turns out the reason Harry is eking out an existence in Rhodes, taking charity from his friend, is because he was unjustly fired from his job in England. And that job was in Mallender Marine, owned by Heather's family. That's enough of a motive right there for anyone concerned, and though the police indicate after a while that he's no longer a suspect, the English tabloids have a field day with him. And then Harry finds an indication that there might be something mysterious about Heather's disappearance and feels compelled to investigate. This means returning to England, a country that doesn't feel like home any longer. There Harry sets out to retrace Heather's steps before her disappearance, hoping this will help him understand what happened. ITB has a very interesting and atypical character. Harry Barnett is middle-aged and paunchy and he's a bit of a loser, really. All he's tried has failed, the garage he set up with a friend, his job at Mallender Marine. When he comes back to England all he has is his friendship with Alan Dyeshart (not sure of the spelling, as I listened to the audiobook), the rich MP whose house he was taking care of in Rhodes. Actually, the other thing Harry has is persistence, as well as a great deal of determination to find out what happened to Heather. With Alan's financial backing, Harry painstakingly follows the clues, going where Heather has gone, talking to the people she spoke to and trying to find out what was said. There are a lot of potential paths to follow, and we're never quite sure which one is the right one, or even if different ones might turn out to be connected. I enjoyed the investigation, even though it's a bit too long. It took a little while to really get going at the start, and then things developed quite slowly, as Harry went from one place to another. I didn't quite get bored, but I remember feeling even when I hit the halfway point that I'd been listening to this book forever! Still, it kept moving and with each discovery there was a feeling of progress being made, so I kept reading with interest. As the book progressed, though, I liked Harry less and less. And the problem was that I got the feeling the things that bothered me went completely unremarked by the narrative. I wasn't supposed to be bothered by things like him sleeping with a woman and then getting really angry because she'd "made him" betray her husband, who was a friend. I wasn't supposed to be bothered by the way he gets so pissed off at another woman because he feels she's made a fool of him, when it's painfully obvious that the only reason she's done so is because the consequences to her if she hadn't would have been really dire. He was a character who felt quite dated. The ending was a big problem as well. It all ends in a bit of a whimper. The big revelation was not particularly surprising, and then Harry's entire investigation turns out to be kind of pointless. He does make a big, quite impressive deduction, but then we find out that someone else has taken actions that make the whole thing a moot point. Plus, as with Harry's character, the nature of a lot of what is revealed feels very dated, and not in a good way. The perils of reading older books! I think there is something to reading a book a long time ago and remembering it fondly, which doesn't necessarily mean it will continue to hold up today. ITB may be one of those. 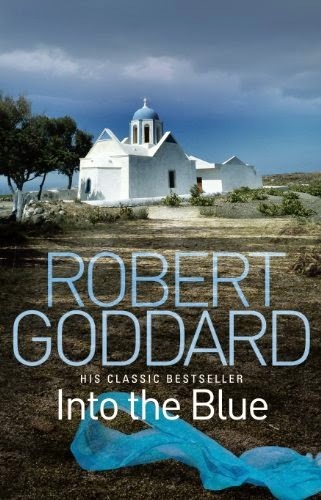 Goddard's books are often peopled with unsympathetic, morally ambiguous characters and while I can't disagree with what you've written, he remains one of my favorite authors. Part of the appeal, to me, is his complicated stories. I'm reminded, in fact, of Tana French's work, where nothing is what it seems. In any event, you certainly gave Goddard plenty of opportunity to reach you, it just didn't work out. Oh, I'm not sorry I read this one. There was a lot here I enjoyed, and I did appreciate the complicated plot. But yeah, I think I have to conclude he's not for me!